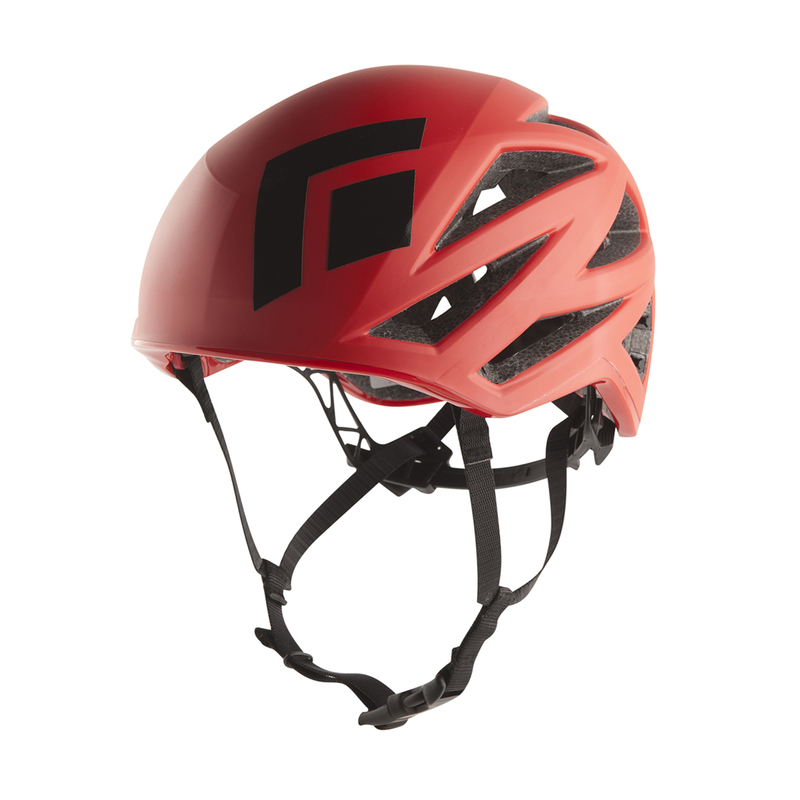 The Black Diamond Vapor Helmet is an ultralight low-profile helmet with outstanding ventilation and a secure and super-comfortable fit, a go-anywhere cragging lid that proves helmets aren't just for multi-pitch trad climbs and big alpine faces. 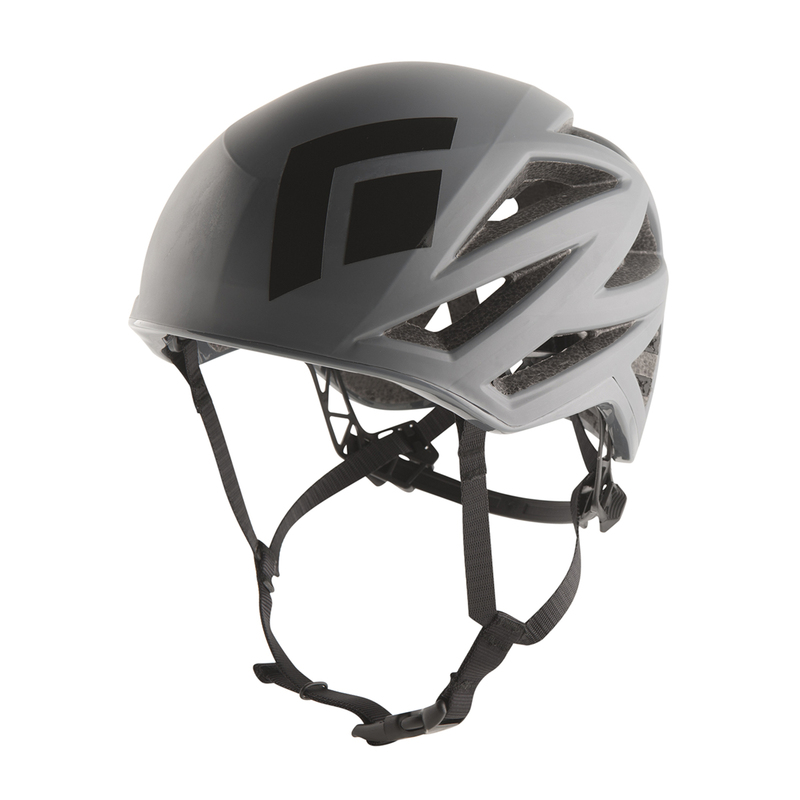 The Black Diamond Vapor Helmet features an engineered a sheet of Kevlar and a series of carbon rods in between co-molded EPS foam and a polycarbonate shell to keep the weight at a minimum while keeping you protected. The Vapor's ratcheting suspension tucks into the helmet for compact storage in your pack or haul bag, and removable headlamp clips secure your light on pre-dawn starts or when rapping after dark. Good quality product from BD, very happy with my purchase! 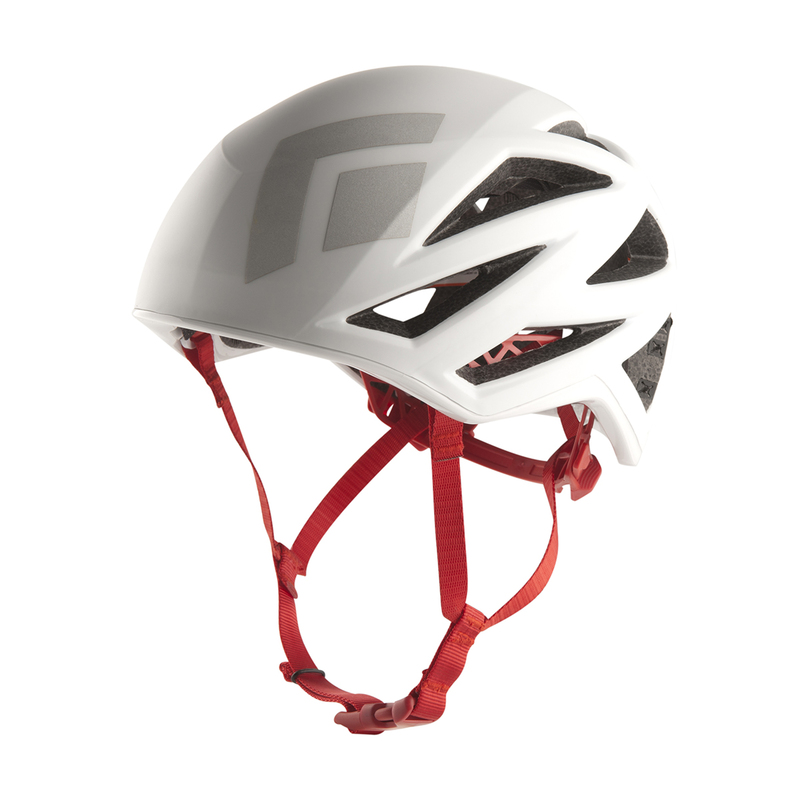 The helmet is very light and does its job very well. Worth the the money ! You dont notice you have helmet when you wear this. Its weighs nothing.